Are You Feeling It? - "So, I've been thinking..."
Home becoming better Are You Feeling It? I’m feeling it. Spring is here, the daffodils are blooming, it’s getting warmer and the end of the school year is in sight. I am most definitely seeing a light at the end of the tunnel. That long, cold, snowy winter tunnel. This time of year gets crazy busy with sports and field trips, exams and performances. If I don’t make some time to relax and unwind I could, literally, go crazy. I know everyone misuses that word, literally, but I mean it. Ask my husband, he will tell you I am on the train and near the front (he would probably add, “and telling the conductor how to drive.”) I could be mad but it’s too accurate. 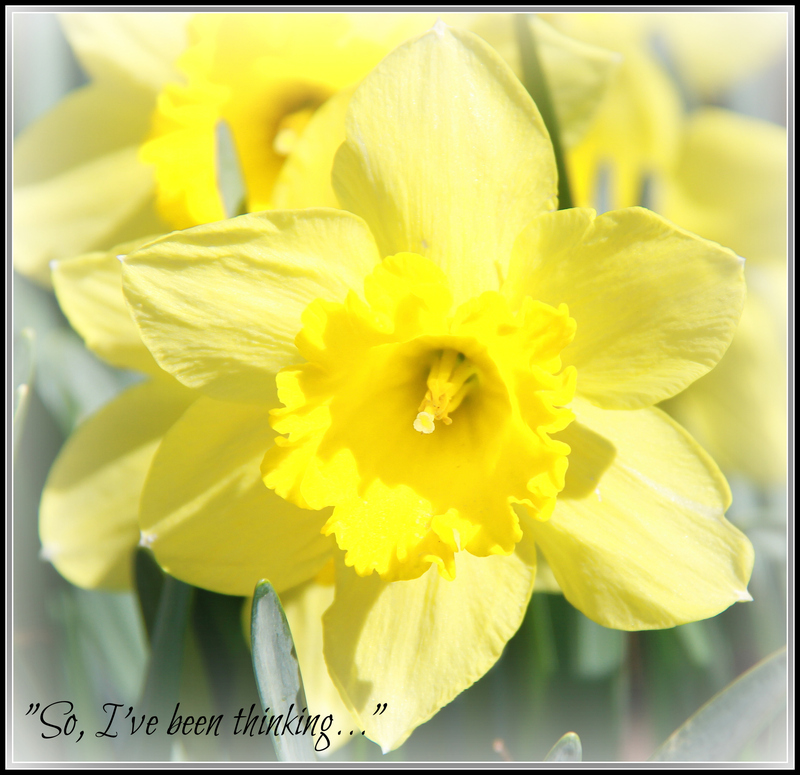 Spring does something to my brain, it lightens my spirits and makes me feel better. I want to be outside, I want to move around, I want to see people and relax. This past weekend I had a couple of extra reasons to want hang out with friends and relax – my parents were visiting and their trip was coming to an end (we always try to have dinner and drinks with our friends at the end of their visit), and I had recently received 2 bottles of Anew Riesling to write a review on. Let me start by saying I am not typically a Riesling girl. Oh, I started out that way: Riesling, Moscato, Asti Spumante, if it was light, sweet and bubbly I was all over it. I was also 21. Now that I’ve matured (ahem) so have my tastes. I can drink reds. And talk about them. My wine preference for the warmer months tends to be Sauvignon Blanc from Marlborough, New Zealand, but I can appreciate any good wine when I have one. I do have a preferred Riesling that I buy every fall around and for Thanksgiving, so I guess you could say I know what I’m looking for when I’m choosing my wines. My tastes have matured but I’m open-minded. I’m also not going to look a gift-horse in the mouth. When I was offered the opportunity to review Anew Riesling I said, “Yes, please.” I knew I’d have an opinion – for better or worse. I didn’t read about the wine before I tried it, I didn’t want to be biased or have ideas of what to expect. The night we tasted the wine we were having ribs for dinner. A heavier, spicy meal. We tried the Anew Riesling before and with dinner. Surprisingly, it held it’s own. It was light and slightly sweet at first, then opened up with a bright fruit and light peach flavor. The finish was citrusy and clean. I liked it. I liked it enough to stealÂ my moms glass and drink hers too. 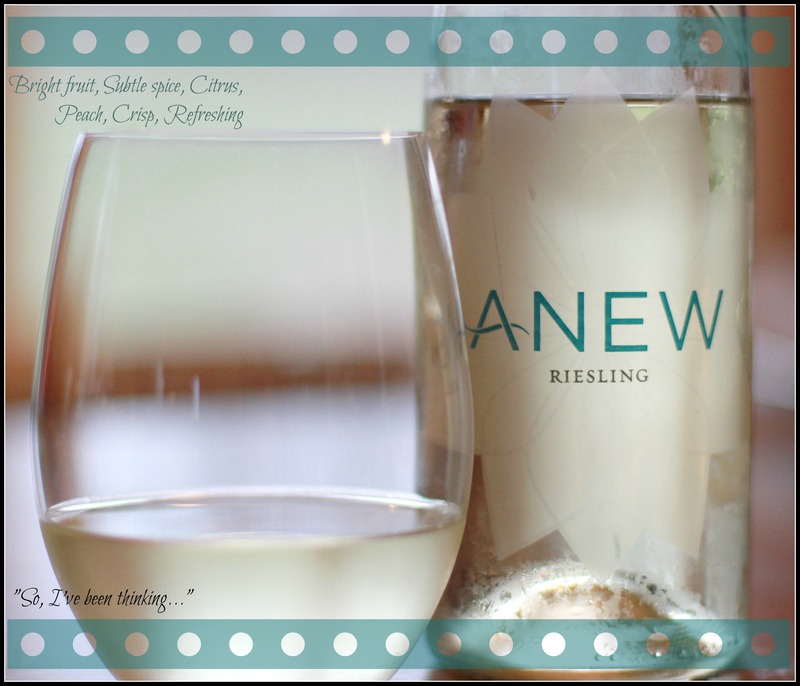 Opening with aromas of bright fruit, subtle spice and citrus, Anew RieslingÂ offers a harmonious blend of pure fruit flavor, heightened aromatics and balanced acidity. Expressive flavors of fresh peach and a hint of spice give this wine a crisp, refreshing essence. This wine is perfect on its own or paired with food. Try it with spicy Asian dishes, smoked salmon, lobster salad, pasta with light sauces and blue cheese. If you like Rieslings, prefer lighter slightly sweet wine or just want to try something new, I would say give Anew a try. I was surprised at how much I enjoyed it. If you prefer something drier or want to mix it up a little, I’ve got ideas for you there, too. Since we were having a group of people over for dinner the next night, I used the second bottle to make a sangria. I normally use Sauv Blanc for sangria but again, wanted to see how Anew would handle the mixing. It handled it like a champ. Since I’m all about sharing, I’m going to give you myÂ Simple Summer Sangria recipe. A couple of things to note before I do: be sure to give me credit for this deliciousness before you start drinking and give your keys to the designated driver – this combination can sneak up on you if you aren’t careful. This recipe is intended only for those over 21, obviously, and you must drink responsibly. This recipe can be easily adapted to incorporate your favorite fruits and flavors. Sangria is meant to be enjoyed, play around with the add-ons to bring out the flavors you love. If you have leftover sangria, strain out the fruit (discard or eat the fruit, your choice, but it will contain alcohol so keep away from the kids) then freeze in a ziplock bag or another airtight container. As if Anew wine (get it?) and drink recipe weren’t enough. I’ve got more! Yesterday I asked you if you liked wine. Check. I also asked you if you like chicken. Stay tuned. Today I get to either introduce you to or deepen your understanding and appreciation of Kristen Daukas from Four Hens and a Rooster. Kristen is one of the authors of the book I may have mentioned before, Mother of All Meltdowns. But I knew her when. I met Kristen last May at Bloggy Boot Camp. I love straight-talking, funny, confident people; I’m drawn to them like a magnet. Guess who I sat next to? Kristen. I have been a fan ever since. If I was less sure of my own fabulousness Kristen could definitely cause me to entertain some self doubts. She has been blogging for ten years at Four Hens and a Rooster, where she started as a mommy blogger (of 3 smart, active girls) and has progressed, naturally, into blogging about parenting teens, tweens and so much more. Just a few recent highlights include appropriate social media behavior for both parents and teens; becoming that “middle manager” between your growing children and your aging parents; and navigating the coming-of-age milestone: teen driving. If you are past the bottles and diapers stage or if you really (really?) want to see what’s ahead…check out Four Hens and a Rooster. Kristen also started the websiteÂ Ten to Twenty Parenting. This is the placeÂ where Kristen and contributing writers help parents get answers to the tough questions and dig deeper into learning to manage and maintain relationships with their tweens and teens. In case that wasn’t enough, Kristen also runs her own social media marketing,Â web development and interactive marketing company. In my review of Mother of All Meltdowns, I mentioned that one story really stood out as my favorite Raising a Strong Woman and Not a Tough Broad. This was Kristen’s account of spending what was supposed to be, could have been, a great day with her teen. Dealing with questionable behavior, managing disappointment, discovering hidden threats and ultimately taking charge of a scary situation – this story hit every nerve with me and still does so, every time I read it. In MoAM you tell the story of your daughter hurting your feelings and finding out there was more to the story on her part. You made it clear you were going to do everything in your power to protect your daughter. Was this experience as eye-opening for your daughters? Is it something you refer back to when they are worried about how to handle something? Do they â€œtrust you moreâ€ since that experience? I would hope they trust me regardless but what I think it really did was show them that I mean business. I will let them work thru stuff as much as possible but if I think thereâ€™s even a remote chance they could get hurt mentally or physically – watch out. And no – you canâ€™t stop me. Move aside. 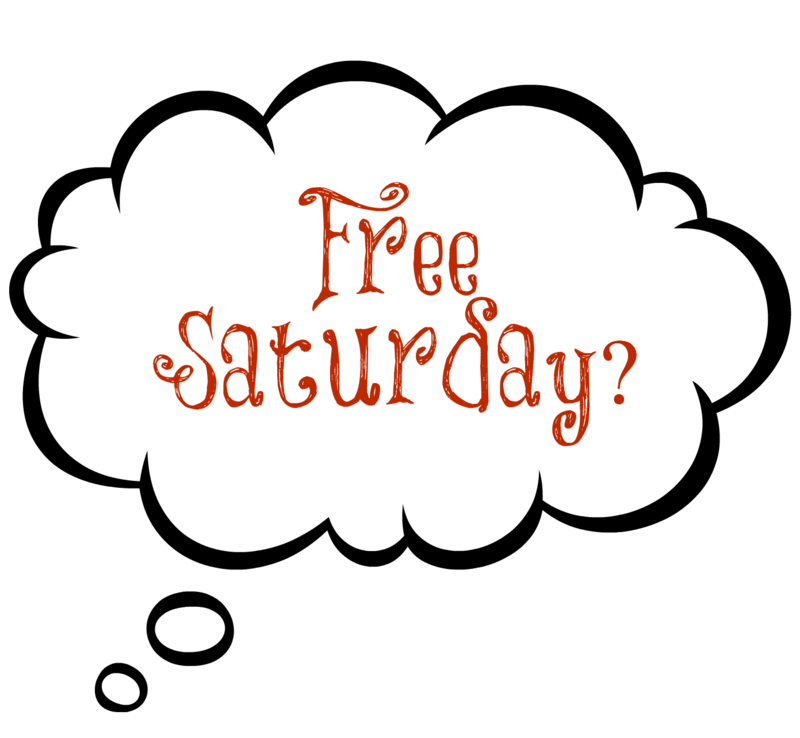 You find your schedule has an open Saturday and you want to do something fun (for everyone) as a family. No budget or early next AM time constraints, what would you do? Get in the car and go on some random trip. No agenda, no destination in mind.. just someplace weâ€™ve never been before would be my only â€œrequirement.â€ I have one friend that is SO good about this. I love her posts on Facebook – sheâ€™s like the Whereâ€™s Waldo of moms! We have a couple of meals my kids LOVE every time we make them. What is your family favorite? And can you share a simple recipe? Iâ€™m not sure there is one meal that they ALL like. I think the Roosterâ€™s ribs and my fried chicken are the 2 that are the closest to unanimous. I think the reason they love those two so much is because since they are so labor intensive, we donâ€™t do it very often. **this may not need mentioning but just to be safe – as you brine and soak the chicken, please store it in the fridge! Of course, we all want to know: can you share a recent meltdown story? Ahem. funny you should ask. We had a colossal meltdown earlier this month on vacation. The Rooster had a tradeshow in Orlando during the girls spring break so we all went down to take advantage of the company covering the cost. However, this meant he had to work so the girls and I were on our own quite a bit which was fine. One night we decided to go to Universal CityWalk which is where all the shops and restaurants are outside of Universal Studios Park. We were having a great time, just we girls, when the oldest started to get a little mouthy and a whole lot of teen attitude and I just wasnâ€™t in the mood. I told her she was acting like a selfish brat and it went downhill from there. I did the â€œForget it – weâ€™re not staying. Weâ€™ll go back to the hotelâ€ thing and she did the â€œstop the car and let me outâ€ thing. She got out of the car and I drove away. Of course, all I really did was circle around the parking deck but I parked and the other two and I proceeded to go inside the park without her. I gave her about 30 minutes (funny thing is she was texting with her sister the whole time) and texted her to see if she was ready to move on with the evening and try to have a good time. It took about 45 minutes, but it all ended well and we had a pretty fun night. I am so thankful to Kristen for taking the time to answer my questions and share that fantastic recipe with us. If you have a moment please check out her websites and say hello! Now, like yesterday, here is some love for you, to celebrate the launch of the new No Mother Is Perfect community, there is a fabulous No Mother is Perfect, But Every Mother is Unique Motherâ€™s Day Giveaway brought to you by The Mother of All Meltdownsâ€¦Enter between April 1, 2014 to May 11, 2014 to win one of three fabulous prize packages including a three-night stay for two at a destination spa! Also, I have to mention you can pick up your copy of Mother of All Meltdowns today through Motherâ€™s Day for only $0.99 on Amazon! Motherâ€™s Day is Sunday, May 11th 2014, and we want moms everywhere to accept the meltdowns, stop chasing perfection, and embrace their uniquity. You wonâ€™t find this word listed in Websterâ€™s, but you will find it within every mother on the planet. Enter between April 1, 2014 to May 11, 2014 to win one of three fabulous prize packages including a three night stay for two at a destination spa! Please Read (all the way to the end, if you want to be my friend): I received a copy of The Mother of All Meltdowns for my original review. I also bought 2 copies, after I read the copy I was given, because I enjoyed it so much. I did not receive any compensation for my own meltdown story (I actually had to pay the doctor.) All opinions about the book and community are my own. 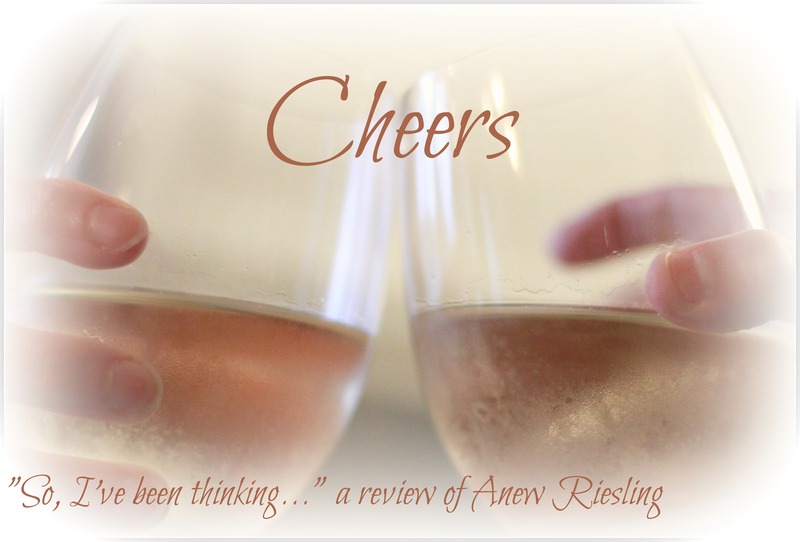 I received two bottles of Anew Riesling for an honest review of the wine. The opinions expressed here by me (and my mom!) are our own. I received no additional compensation for introducing the No Mother is Perfect community to you today. That link goes right to my profile, so when you stop by we can be friends. Someone’s cutting some onions in here… you are so awesome to have picked me and I am so lucky to have met you and Michelle last year at BBC. I love how we all have joined forces and I can’t wait to see you again!! Thank you for this post – I truly am moved by it 🙂 And I am trying that sangria recipe probably this weekend!! I love it too, I didn’t even go into some of the blogging stuff I wanted to, I was getting a little long winded. Thank you again for doing this. It was lots of fun and I’m going to ask my husband to get on making that chicken, it sounds amazing. I much prefer white sangria to red so thanks for the recipe. 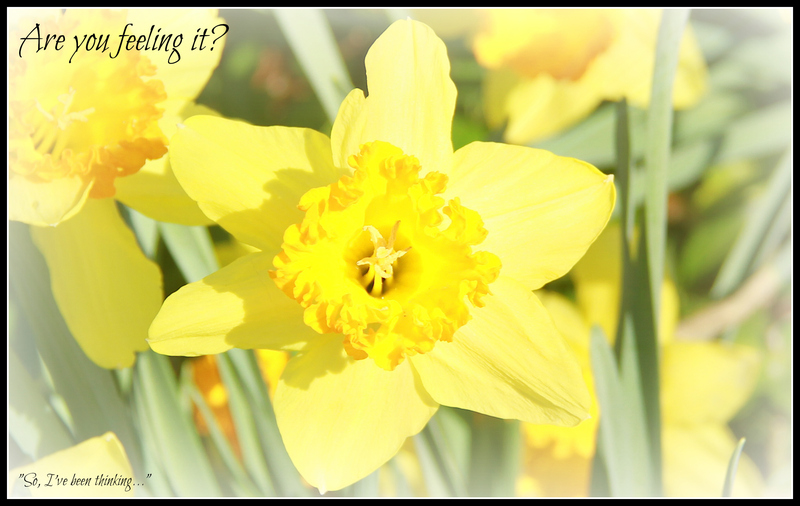 A taste of spring is most certainly needed – although the weather to go with it would be nice! I enjoy white sangria too, especially if it’s not too sweet. We do need some warmth, what’s with the wind and the cold?!? First off, it speaks VOLUMES for Anew wines that you actually finished my glass. A few of you might know this about Stephanie, but she does NOT like to share glasses or food utensils with anyone, so the fact that you finished my wine means it’s a keeper!! Secondly, too bad Kristin doesn’t live closer, I think we could totally hang with her! Loved the story about Universal, will definitely check out her Parenting from 10-20 (cause that’s where I am now!!) and I also can’t wait until you get Greg to cook that chicken. I’m inviting myself over!! So much about this made me laugh out loud. You are right, if I didn’t like it I wouldn’t have been jumping on your glass before you were even “out tha doe” and I think we would totally hang with Kristen – at Michelle’s pool. That would just be a little day in paradise. So excited for that Sangria recipe…you know I am always looking for something for summer evenings! And Kristen…I have to hand it to you. That is some story. I have stopped the car before but no one has ever gotten out. I am still laughing thinking about it. 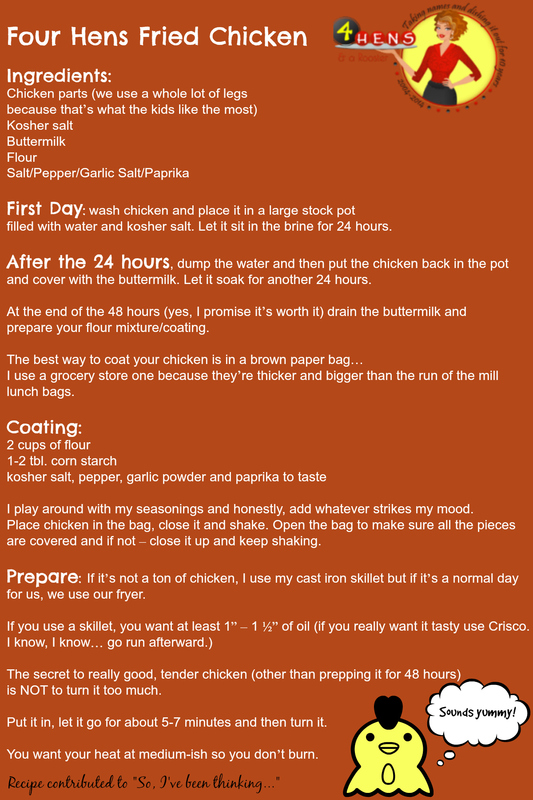 And your fried chicken recipe…I think I have to try that too. My oldest loves fried chicken! And I never make it. Yours sounds pretty amazing! I know, and I really, truly, one day will be bringing cocktails to your house to drink. So sorry it wasn’t today – random bad events – although I know we both could have used it. I have a feeling I’ll have a story about stopping a car one day too. Not looking forward to that. Sounds like you handled it well though, Kristen. And now I want some wine…. If we actually all make this get together happen in August – we are so doing wine. And you are making the cocktails! I was at CityWalk recently and tempted to let Scarlet out of the car. Drat – she’s only four! I can see myself doing that. And I’m with you, Stephanie – spring. I have never wanted it more than I do right now. I know it’s here but I’m still waiting for it to warm up. Brrr..
Ha ha, I’m gonna go with “she’s a little young” to be kicked to the curb but if you are thinking it already I cannot wait to read the teen story sure to follow. And I’m totally with you about the weather. WTHeck, we turned on the heat this AM. I’ve been in a sweatshirt and “softest socks in the world” all day. Crazy. Stephanie you are ROCKIN’ THIS GIG!!! I love your interview questions with Kristen!!! And I could picture her entire meltdown scene as she described it… oh Lord, do I dread those!!! Thank you, my friend. For you amazing SUPPORT!! Thanks Chris. I could totally see that meltdown, too! It is my pleasure to support you guys, it’s been fun for sure. You really are awesome! Thank you so much for your continued support of the MOAM ladies. And that recipe… OH YEAH!!!! Thanks Crystal! I appreciate it – thanks for stopping by. Pingback: Exposed for #AskAwayFriday - "So, I've been thinking..."
Stopping by from LOBS. I’m really glad to find your blog. That Sangria looks so good! It hasn’t been very springlike here but it has to get better eventually! Have a great weekend. 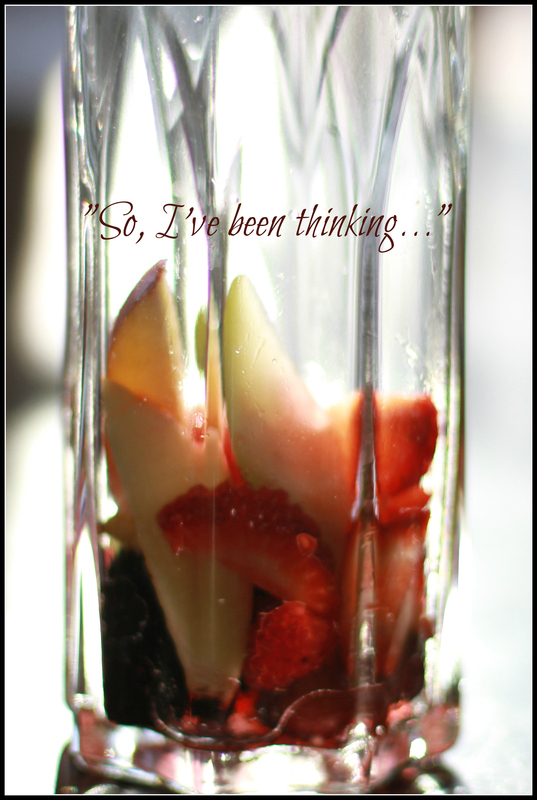 Pingback: 5 REALLY Last Minute Gift Ideas for Mother's Day - "So, I've been thinking..."
Pingback: Cranberry Orange Sangria - "So, I've been thinking..."